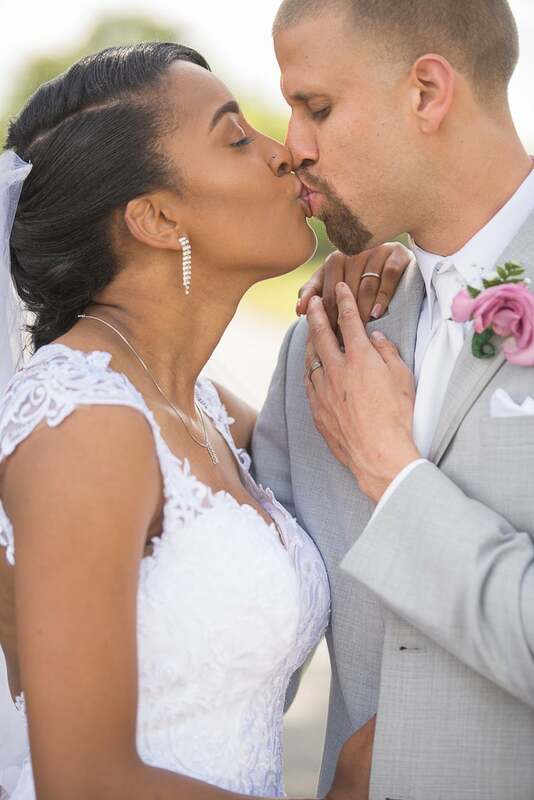 The newlyweds met on their college track and field team and won first place in each other's hearts. See photos from their traditional wedding and prepare to melt. 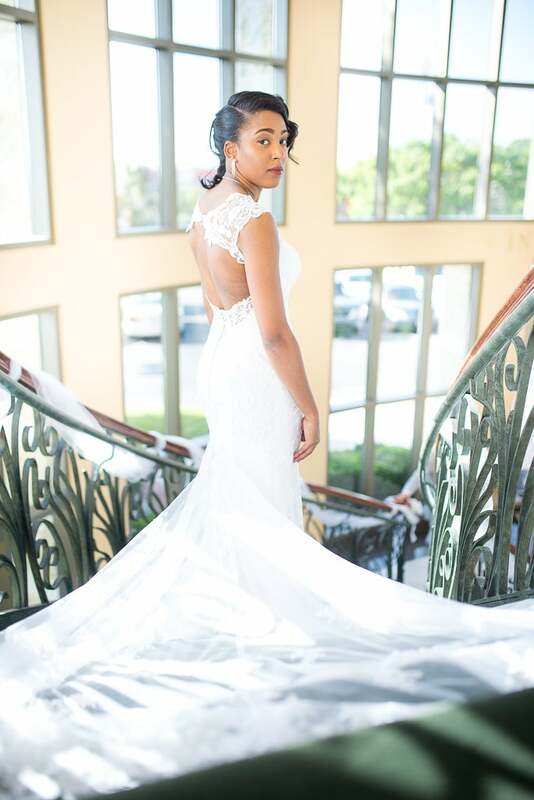 Bride Kayla didn't have the easiest time finding the dress of her dreams but when she found the one, she knew it. 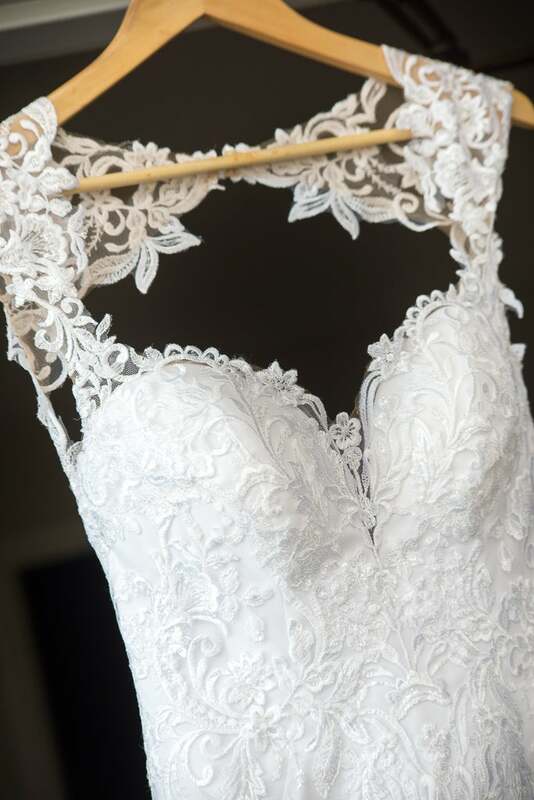 "Once I tried on the dress that literally had every detail that I wanted in my dress I knew as soon as looked at it that it would be the dress," she shared. 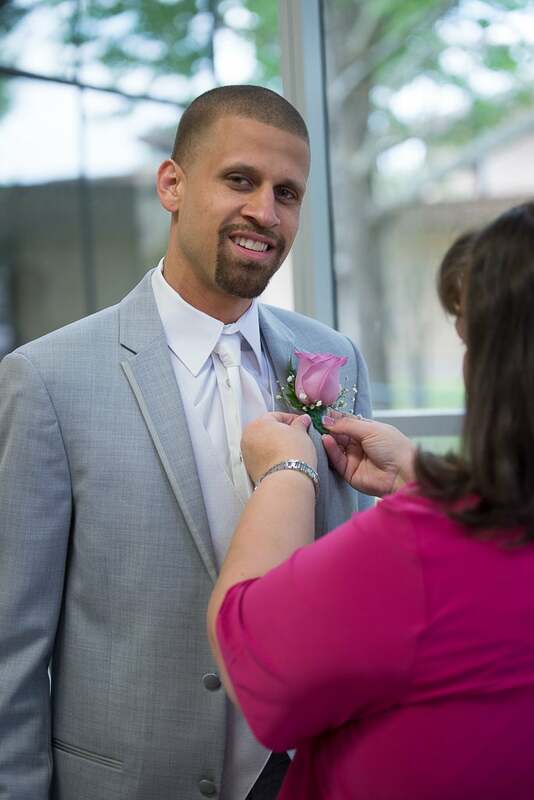 "I wouldn’t say that I ever really dreamed about it, but it felt amazing," said Keith of how it felt to be a groom. "I felt so alive and happy. I don’t think I stopped smiling for the entire night. 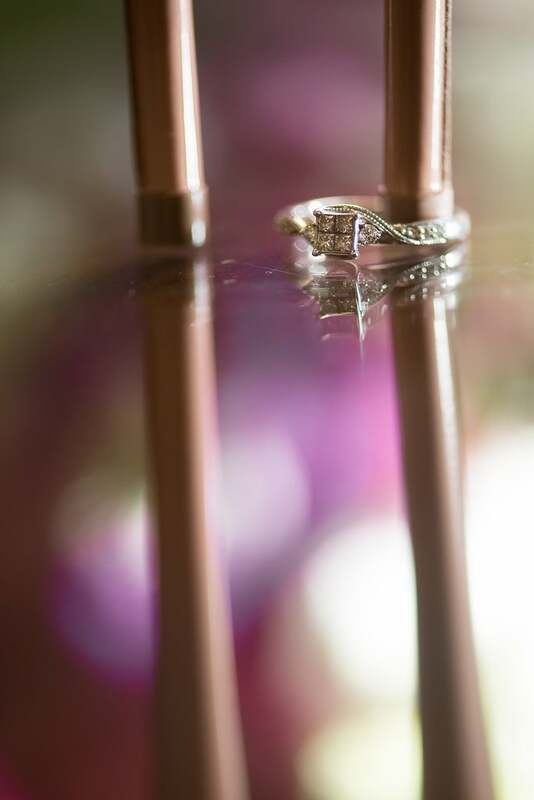 Everything was perfect and Kayla did awesome with planning the wedding. She was so beautiful, I couldn’t stop gawking at her through the whole night. " 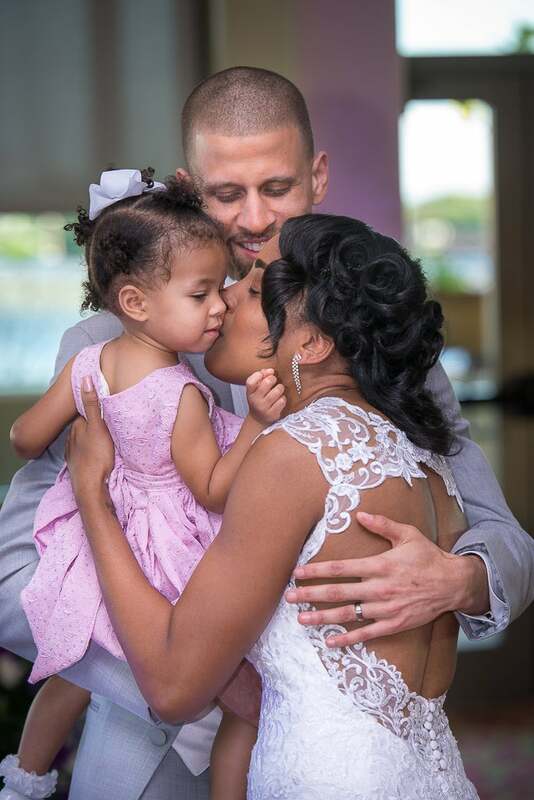 "My husband proposed to me in 2015 on Christmas Day, which will always mean so much to me because I love the holiday season and enjoy getting to spend time with family and friends," Kayla shared. "It’s a tradition in my family to get together for the holidays to laugh and enjoy each other’s company. Once we started opening presents, my husband instructed me to open the biggest box last, which made me think I was getting something huge and I just couldn’t wrap my mind around what it would be. Once I opened the box I found a smaller box that was definitely without a doubt a ring box. I opened the box to reveal the ring, and he was down on one knee, with our families as witnesses, asking me to marry him." 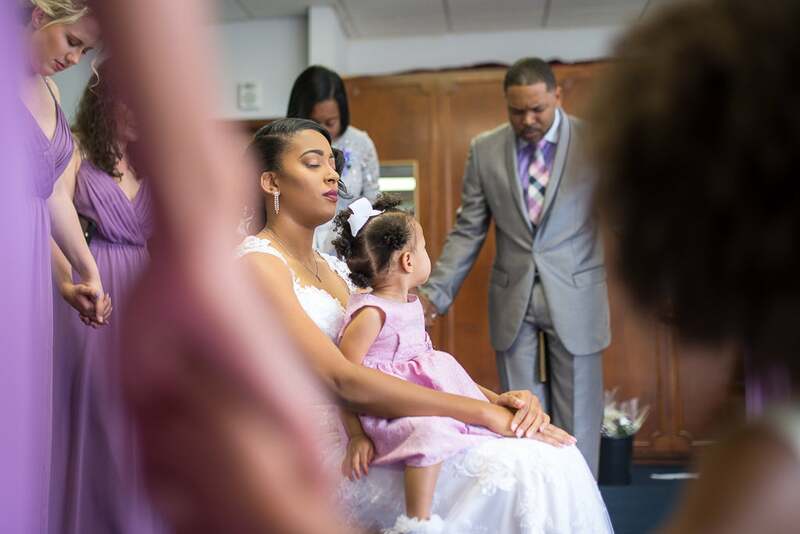 How sweet is this moment between the bride, her daughter and her bridal party as she prepares for her big day! 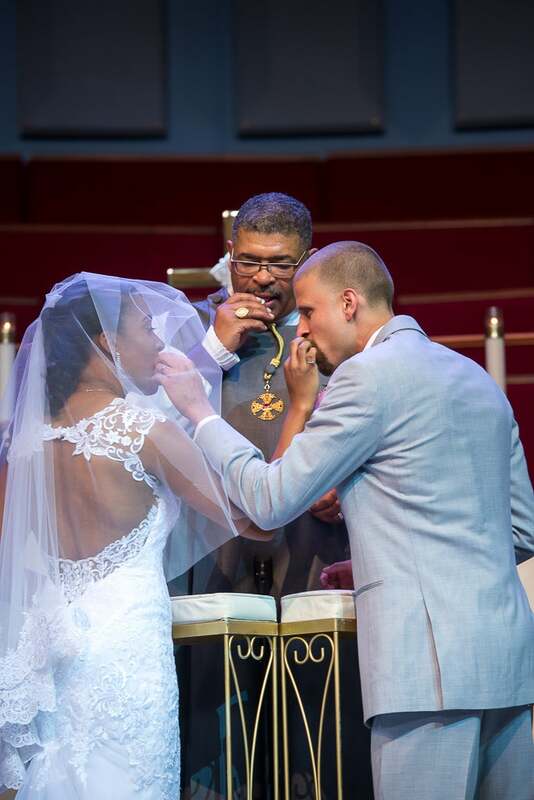 "My husband is caring, loving, and he is always willing to help those in need," said the bride. 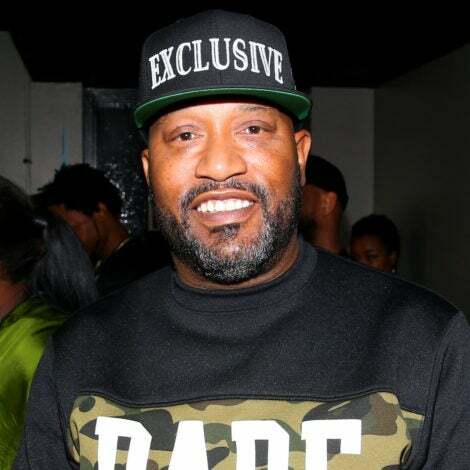 "He's God fearing, family oriented and he is one of the funniest people that I have met. I could go on about how selfless and humbled he is. He always supports and gives me the push that I need to be able to succeed at whatever it is I may do. He always has a way of making me laugh even when I want to be mad at him. He is a great father to our daughter, and he will go to the ends of this earth to make sure that we are taken care of. He is hardworking and diligent and for that I will always love him." The bride and her girls were too fab on the morning of the wedding! 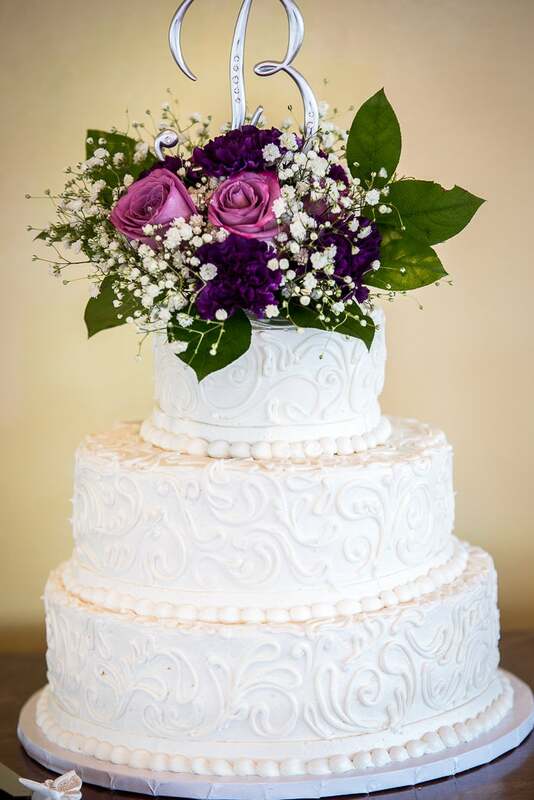 Kayla chose a three-tier wedding cake that was not only simple but elegant and that's always a good idea! 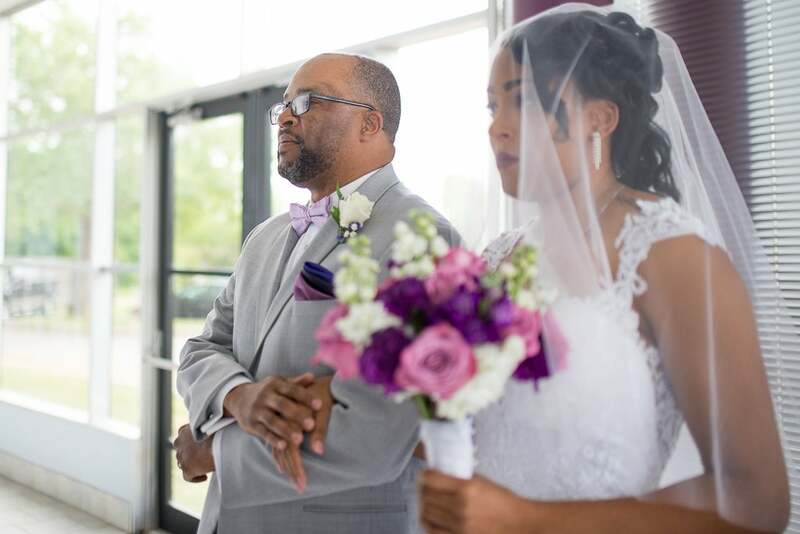 "My dad walked me down the aisle," said the bride. "I am a daddy's girl and I have been all my life. I always imagined my dad walking me down the aisle on my wedding.Having him do that on my big day meant so much to me. I felt like a little girl all over again holding onto to my daddy’s arm. I knew that once we got to the end that he was going to give me to the man that will love and care for me just as much as my father did. And knowing that is the reason I will always remember having my dad walking me down the aisle like I had always dreamed." 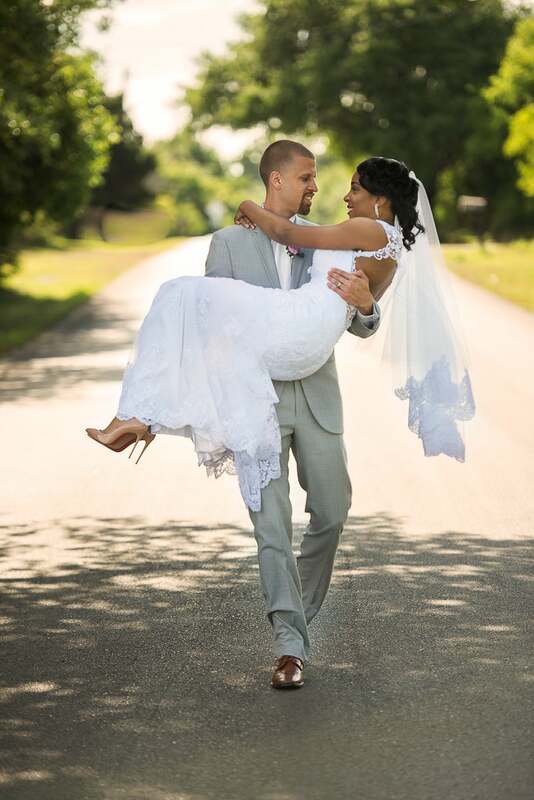 "The thing I love most about my husband is his drive and his determination," said Kayla of Keith. "He works hard at all that he does. He always puts his best foot forward, and with doing that he is able to provide and help his family thrive. He doesn’t let things slow him down and if wants something he goes for it with full potential. He is a hardworking, family orientated man, and I will love him always." 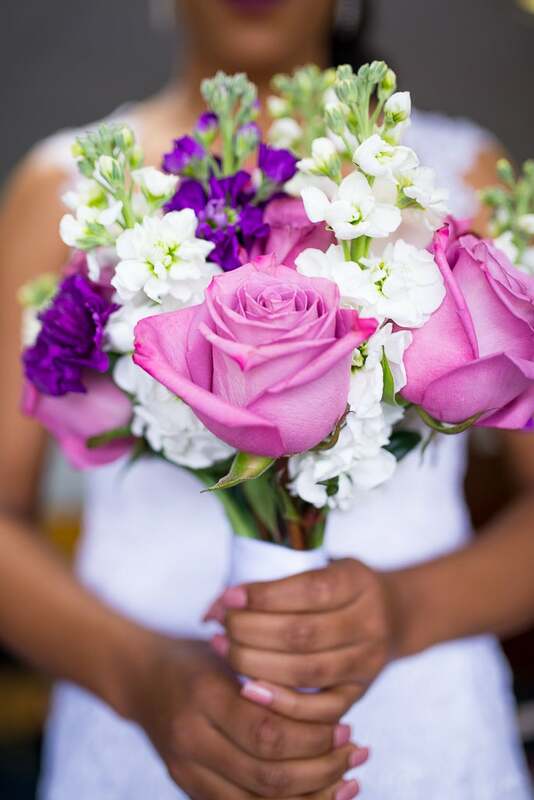 We simply adore Kayla's bridal flowers which helped complete her look! 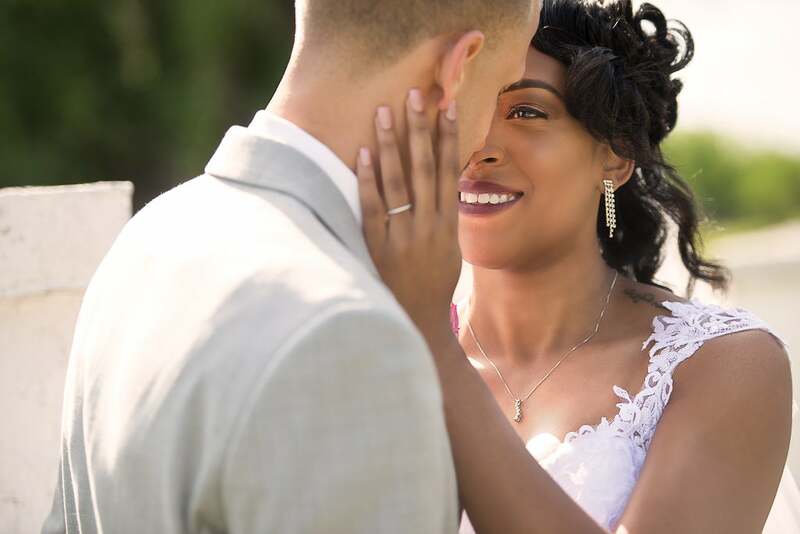 "I felt as if we were the only ones there and that I was falling in love with my husband all over again," said the bride of the feeling of being with her groom at the altar. "I felt as if my life was starting new over again. It was really a fairytale feeling. 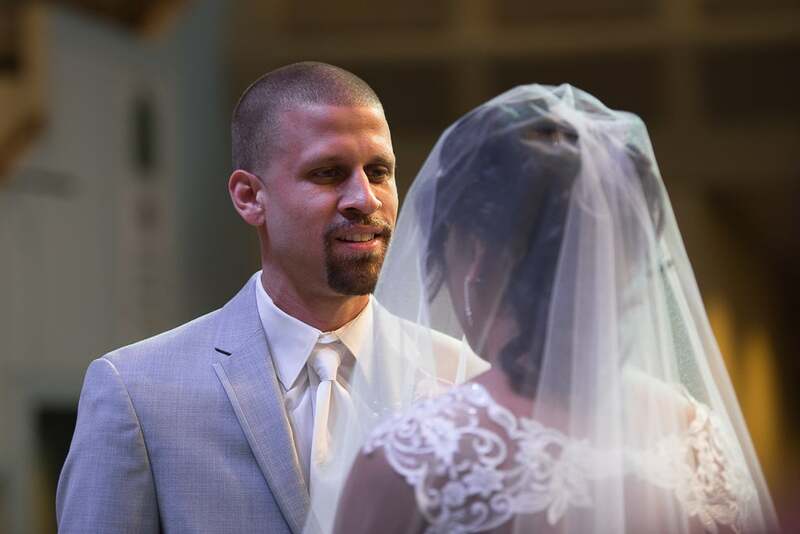 Being able to look into his eyes and commit to each other for a lifetime with our family and friends there to witness it was everything to me. All the time and effort that we put into our family knowing that on that day we were all becoming one is not a feeling that I will ever forget." 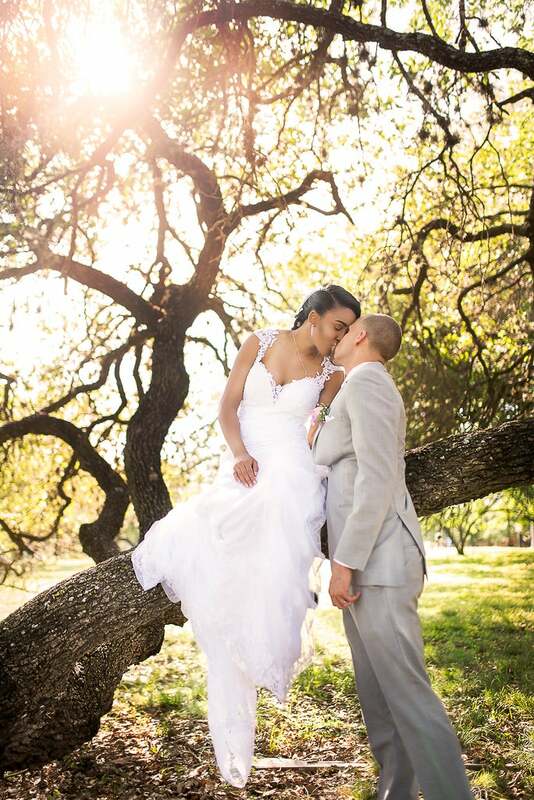 "I wanted to be able to have the traditional ceremony that my parents had," said the bride. 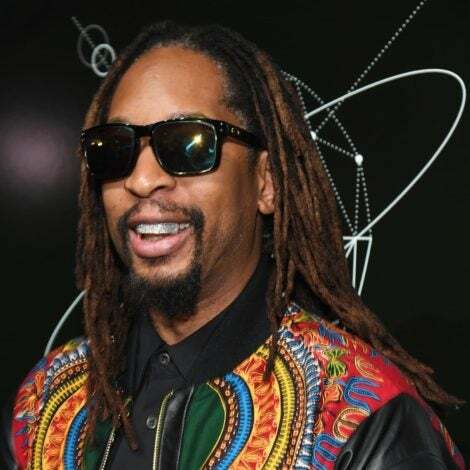 "I had the officiate following the traditional marriage readings. I also did Holy Communion and prayer." "It was a very emotional experience! 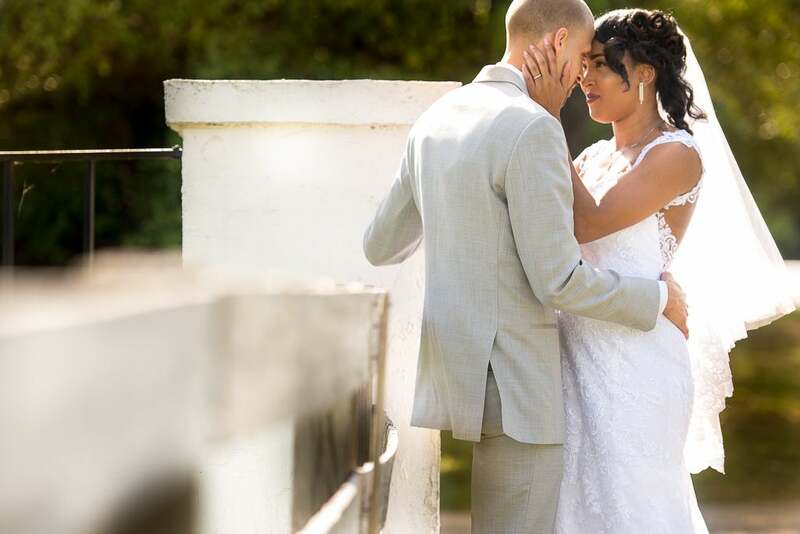 When she first turned into my view at the doorway, I felt like a kid standing at the front of a rollercoaster line," said Keith of seeing Kayla at the altar. "Excited would be an understatement. She even said that I was rubbing her hands with my thumbs and asked if I was nervous later. All I can say is it was pure joy and excitement." 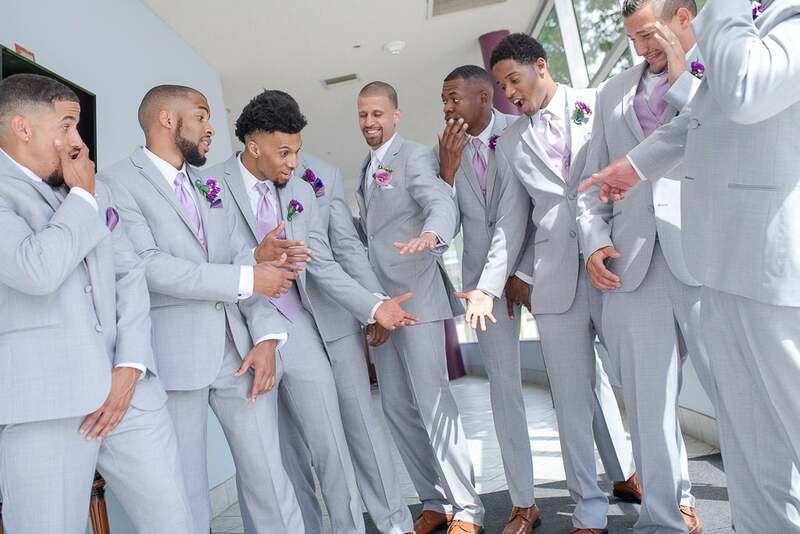 The groom and his guys have a little bit of fun on the big day! "Kayla is a bit hard to describe," Keith began. "When it comes to her personality, you don’t get to enjoy the best of it unless you are close to her. Trust me, she keeps a tight circle! 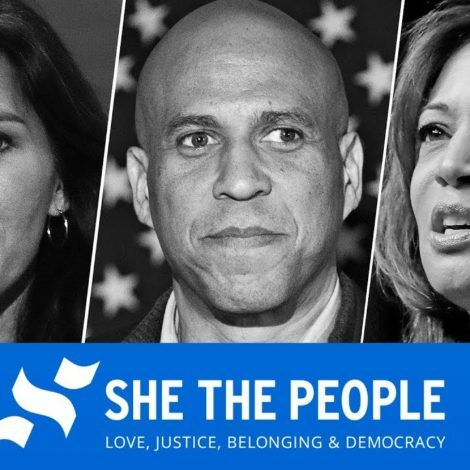 Although she may come off as quiet, she is the “life of the party” type of person. She has an amazing sense of humor. I can joke with Kayla like she was one of the boys, and she has no problem with bringing the jokes her self either. Kayla is the type that wants more for you then she wants for herself. She is down to earth and almost always keeps a positive attitude. She’s kind, sweet, but not to be trifled with." "I said yes because he is not only my lover, he is my best friend, my other half," shared the bride. "He completes me. He makes me laugh, he makes me feel safe and as if the world is ours to conquer. With him, I don’t worry or feel as if we may not make it out because I know if we have each other we will be succeed and conquer this journey that we have decided to take together." 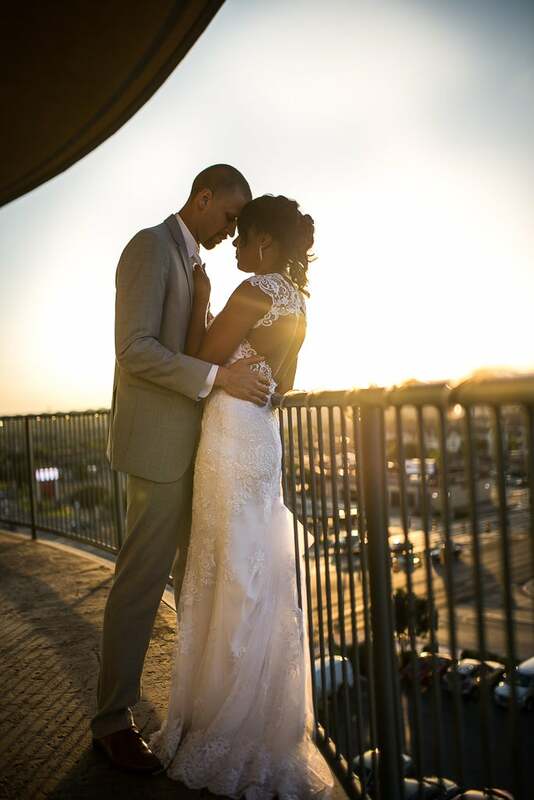 "I knew Kayla was the one for me a little over a year into our relationship," shared the groom. "One night, we got into a big fight, and she ended up leaving my apartment. I remember being upset and thinking to myself I didn’t want to see her for a while. I immediately got a text message that told me to go look outside my door. When I went out there , Kayla had left some of my favorite snacks and her lap top playing a slide show that she made me for our first anniversary. I knew from that moment that I would fight for this girl until the end." "Kayla has a lot to love about her," said the groom of his bride. "Its hard to skip past the little things. But if I must choose one specific thing that I love the most about her, I would have to say I love how patient Kayla is. Patience is a quality that is often over looked, but it provides so many positive attributes in a person. Kayla is an awesome mom, because of her patience and love for her daughter. She has helped make me a much better man, because she has been patient with my growth. Kayla is perfect for me because she balances me out and teaches me to slow down and enjoy the ride." "I knew he was the one before we started dating," said Kayla. "I knew that he was the one I wanted to be with and once we started dating there was this feeling that I truly can’t explain. It just kept telling me that this is the man you will spend the rest of your life with. It was like God placed us together for the better and it was meant to be for a lifetime." 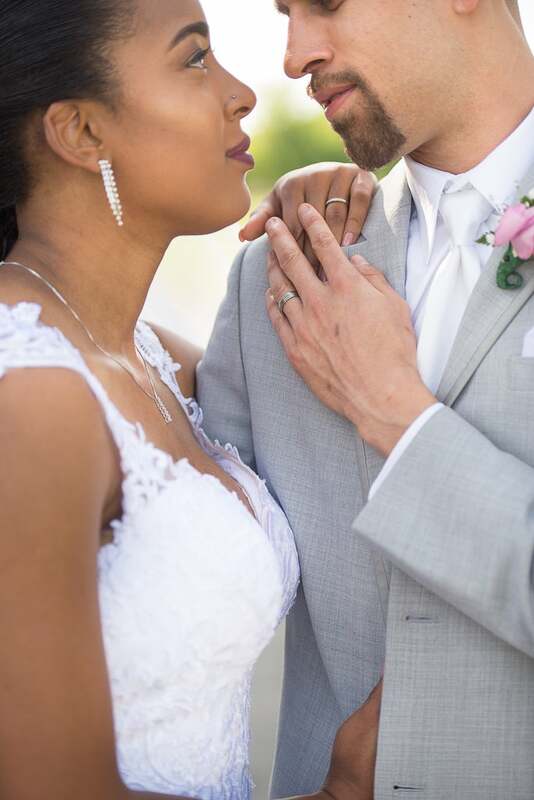 "I chose to make Kayla my wife for many reasons," said the groom. "She is truly beautiful, both inside and out, and I could go on and on about what I love about this woman. I knew I wanted to marry her, but I was scared. Being from a family with divorced parents, I didn’t want to have any doubt in my mind that she was the one I would fight for, for the rest of my life. And the day that I found my absolute certainty, is the day that our baby girl was born. Kayla was amazing. Watching her give birth to our baby upgraded my entire perception of the love I have for her. She gave me one of God’s greatest gifts, and I knew that I could serve her as her husband for the rest of my life." 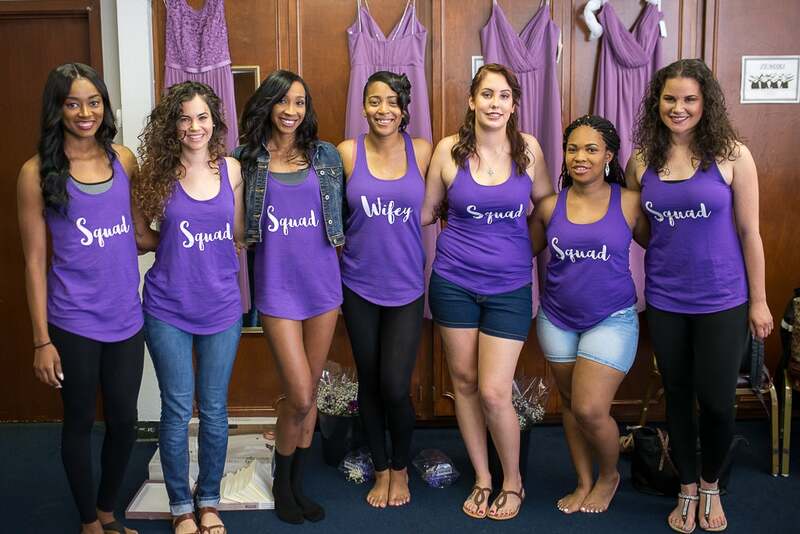 "Being a bride was more than I could have ever imagined," Kayla said. "Everything was perfect from beginning to end. I felt as if my life was fairytale that day. It was so much more than I could ever dream of. Getting my hair and make up done and being able to see the end results especially for my hair literally brought me to tears. Having everyone take there day to help me and to be there for me meant so much. I had my friends there to keep me calm and down to earth, there was not once were I felt I had to panic because they took care of whatever needed to be done. 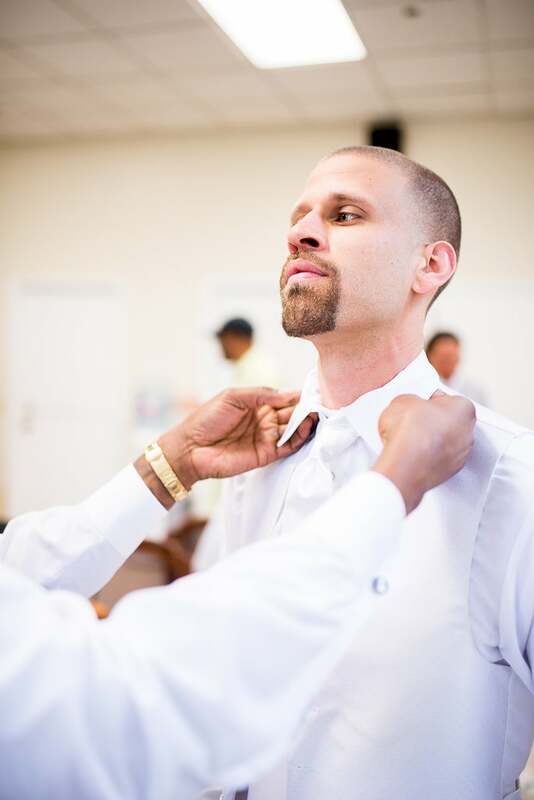 It was truly as blessing having them do that for me on our big day." What a precious family photo! 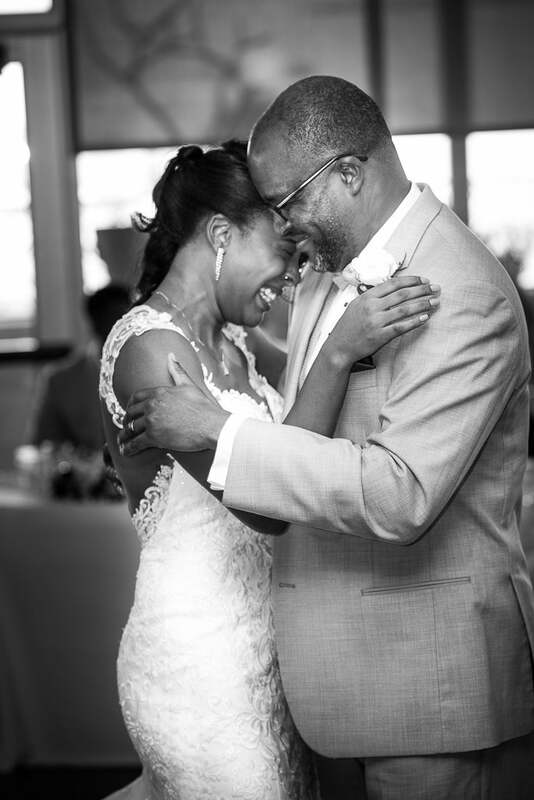 The bride and her dad shared a great moment on the dance floor. 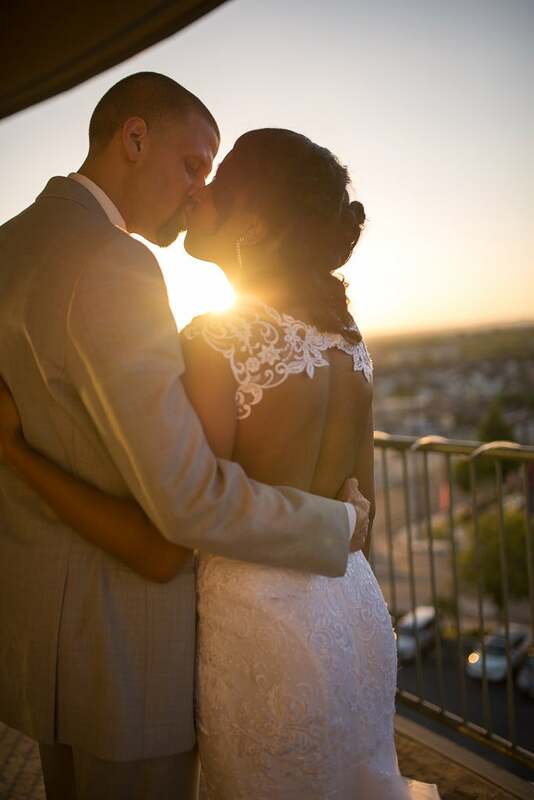 "To be completely honest I wasn't looking for a relationship, so I did think I would find true love when I did," shared the bride. "I also did not think I would find it the way that I did, but I thank God that I did! Meeting Keith turned out to be the best thing to happen to me, we were friends who turned into soul mates and I honestly wasn’t expecting it to happen to me when it did." 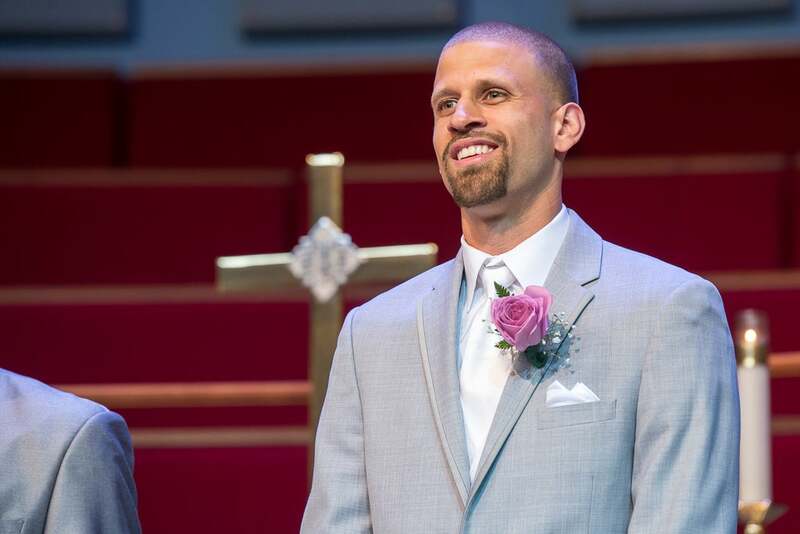 "I did not expect to find love when I did," the groom said. "When I started to fall in love with Kayla, I was still working on myself. We first started as friends and the relationship grew into something that I don’t think either of us ever thought it would. 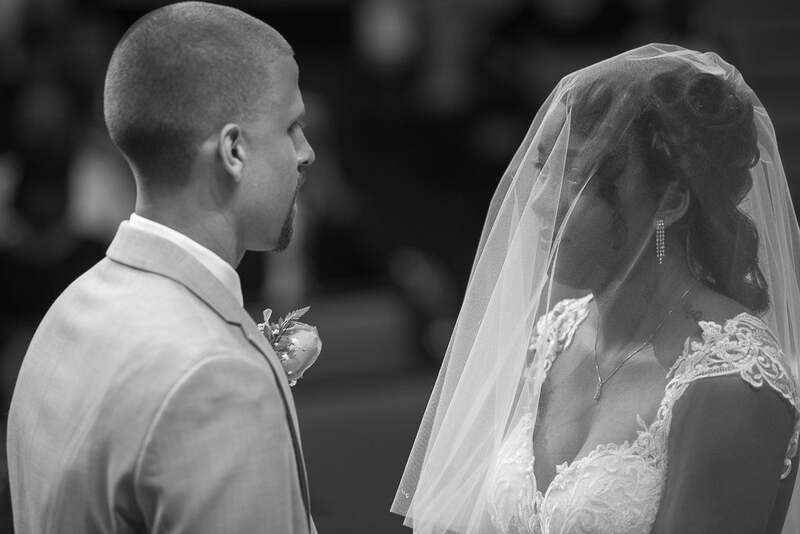 We were both on the same track team in college, and I don’t think anyone thought we would be married back in 2013."